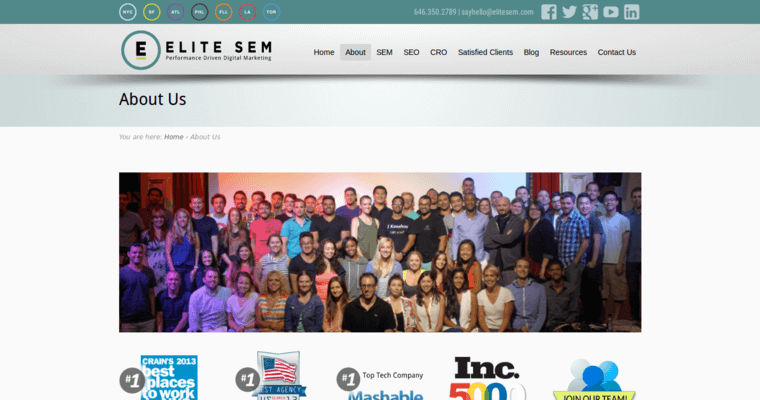 Elite SEM is a digital marketing firm that offers exceptional search engine optimization services. The firm is accustomed to helping clients from cities that include New York City, Atlanta, Philadelphia, and Los Angeles. 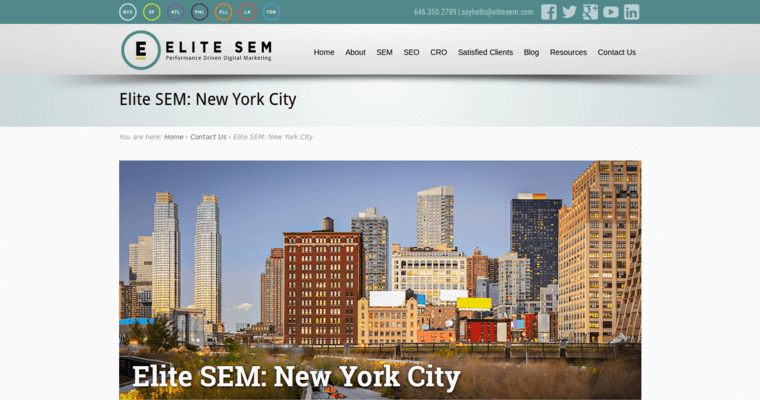 The team of professionals at Elite SEM believe that each website should be designed and optimized according to the most innovative and effective strategies in the digital marketing industry. The firm offers services that include paid search, paid social, CRM and email, performance display, creative services, affiliate marketing, conversion rate optimization, and more. The team at Elite SEM works diligently to understand each one of their clients needs and expectations, and they always take the time that is needed to ensure their clients achieve the best results. The professionals also make certain to keep their clients informed throughout the development process. 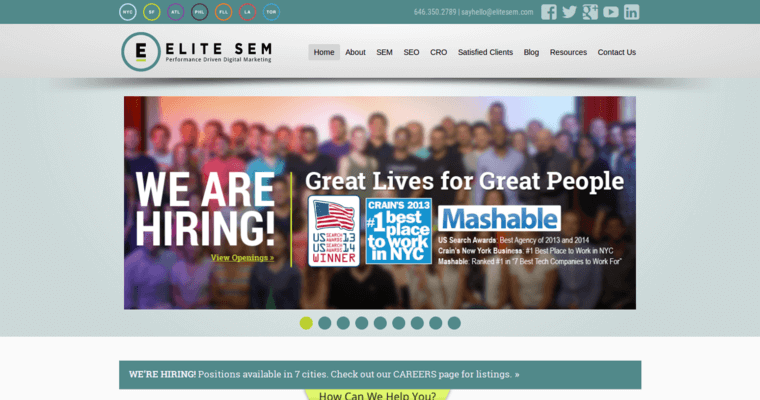 There are many firms that offer SEO services, but Elite SEO is one of the best digital marketing agencies in the industry.